Liqueurs are basically alcoholic beverages made from distilled spirits — with lots of added flavors. Some call them cordials, while others call them schnapps. They all add up to different varieties of liqueurs. Maraschino, Orange, Coffee, Sweet, or Sour — it doesn’t matter the flavor to be celebrated. Grab your liqueur of choice and toast a friend on October 16 as we celebrate National Liqueur Day! ​Over 1.14 million households in the United States have liqueur consumers. ​As international trade routes opened, the variety of liqueur flavors increased, including ginger, orange, and chocolate. Catherine de Medici married Henry II of France and introduced liqueur to the French court, making it a fashionable drink. ​European monks administered liqueurs, descending from herbal medicines. Pick up a few interesting flavors, stock up on flavorful mixers, and host a cordial sampler party with your pals. Hosting not your thing? Visit a local restaurant that offers an after dinner cordial menu and ask the bartender for recommendations. Find a liqueur distillery that piques your interest and plan a trip! Learn the process of creating a liqueur, the rich history behind this delectable drink, and sample one firsthand, fresh from the source. Fancy yourself creative? There are plenty of DIY liqueur recipes out there. All you really need are a base liquor, a flavor of your choosing, and simple syrup. From there, it’s an easy process to produce your own cordial. ​Enjoy the flavor — without all the caffeine — when you mix a coffee liqueur with your favorite vodka and cream for the perfect white Russian. ​Sweeten your favorite bourbon with cherry liqueur, fresh lemon juice, and simple syrup for a refreshing take on a warm classic. ​Don’t rely on margarita mixes for that perfect tangy/sweet balance, when you can mix your smoothest tequila with an orange liqueur and fresh lime juice. ​Add a little Irish Cream liqueur to your hot or iced latte for an extra-indulgent flavor. Maybe you’re a coffee liqueur guy or an orange liqueur gal. On National Liqueur day, we celebrate all the flavors. Yet…this is a fun day to celebrate diversity by stepping outside our comfort zones and ordering from a different section of the cordial menu. We can try berry, flower, herbal, crème, or one of the many other genres of liqueur. 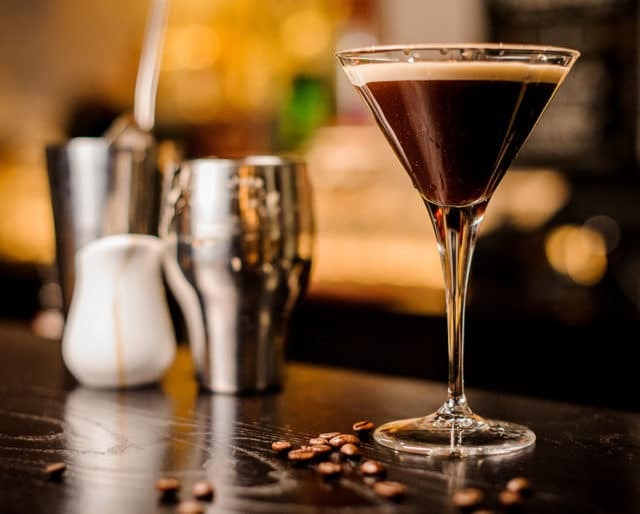 What better way to celebrate National Liqueur Day than to break the trend of meeting over coffees or dinner, and flip the script on the social outing? We can grab our friends and toast with a cordial nightcap alongside a rich dessert. Sure, history isn’t everyone’s favorite subject, but when it involves delicious alcoholic beverages, we might find it more interesting. Like how liqueurs are descendants from herbal remedies, dating back to 13th century monks. We can read up on our favorite cordials and spice up our post-dinner conversations.